Come on down to the Kinsmen Aquatic Centre for an afternoon of family fun! Swimming, activities and games! 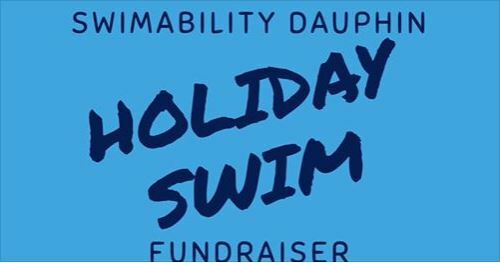 The SwimAbility Dauphin Chapter is hosting a Holiday Swim fundraiser on December 3rd, 2017. DCP donated a prize for the SwimAbility Rainbow Auction.